Revolutionary Breakthrough in Putter Alignment! The most common reason for missed putts is putter alignment. 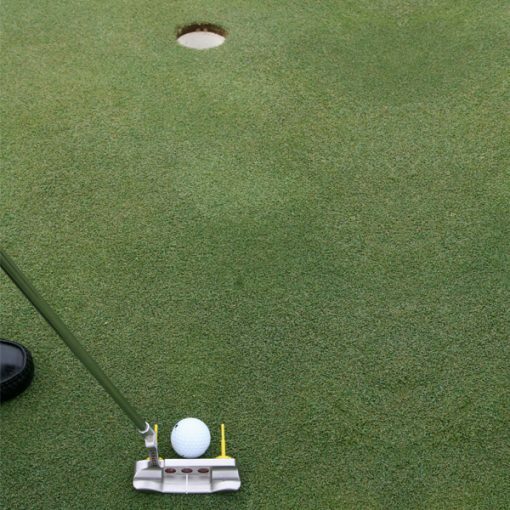 More than 90% of all golfers struggle with aiming their putters correctly. 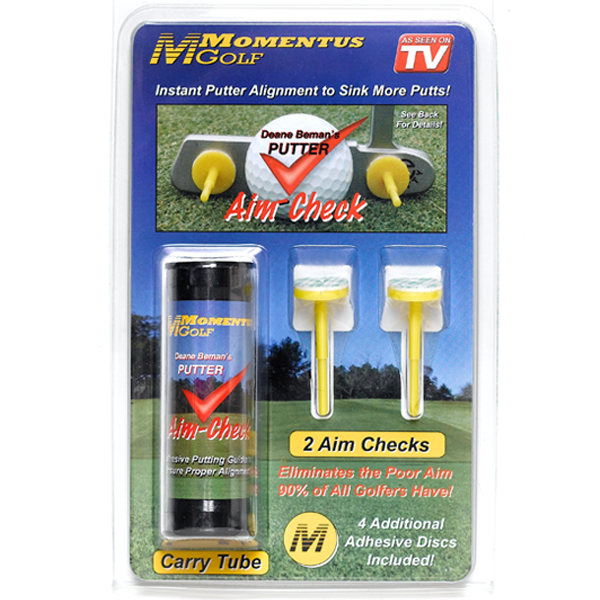 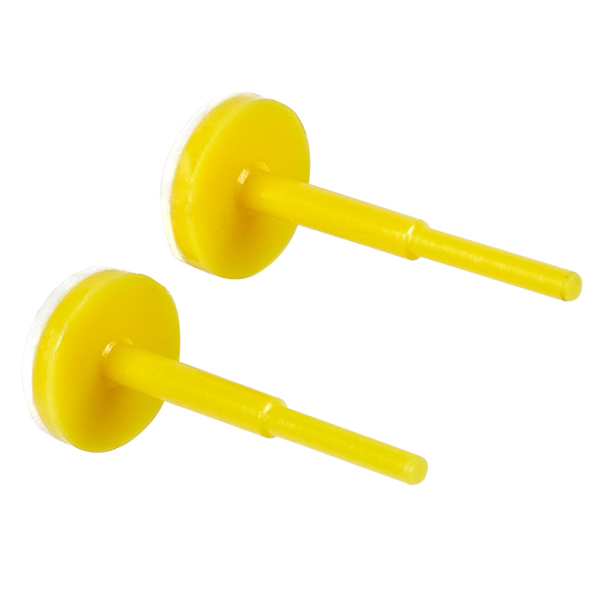 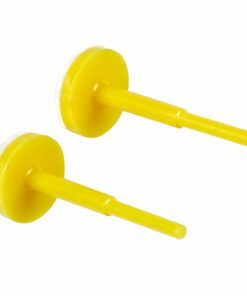 Deane Beman's Aim-Check eliminates the problem in an instant! 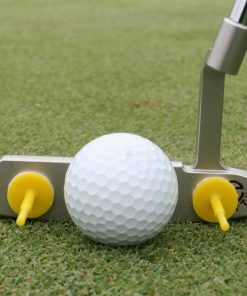 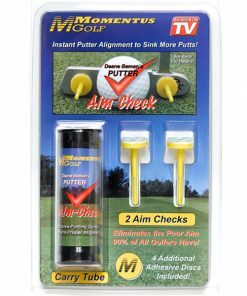 The colorful Aim-Checks simply adhere to the face of your putter using the enclosed adhesive discs. 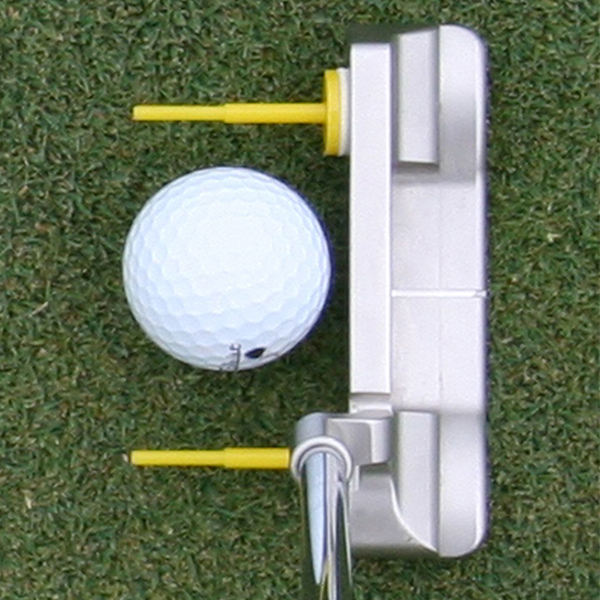 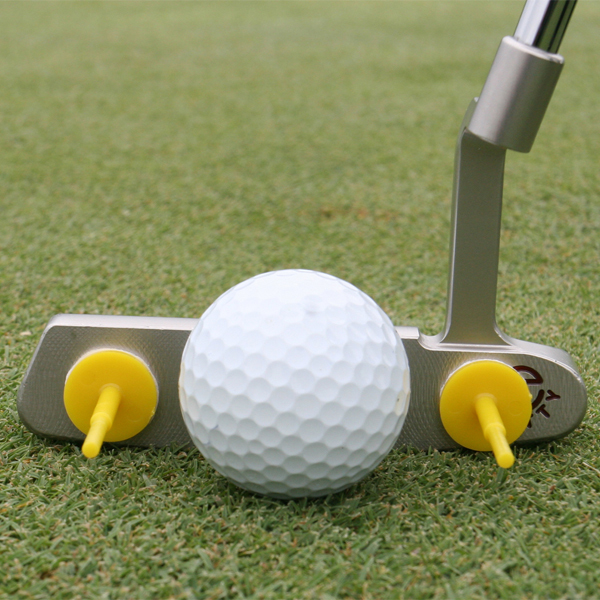 Set your putter down behind the ball and your eyes have an entirely new perspective for aligning your putter head. 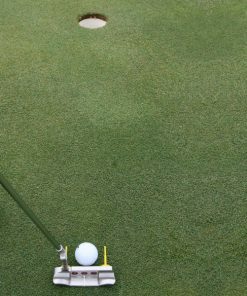 In an instant you'll see a perfect line to the cup, solve your putter alignment issues for good, and immediately begin to make more putts!